Thurrock Neighbourhood Watch give police boss 2019 calendar. 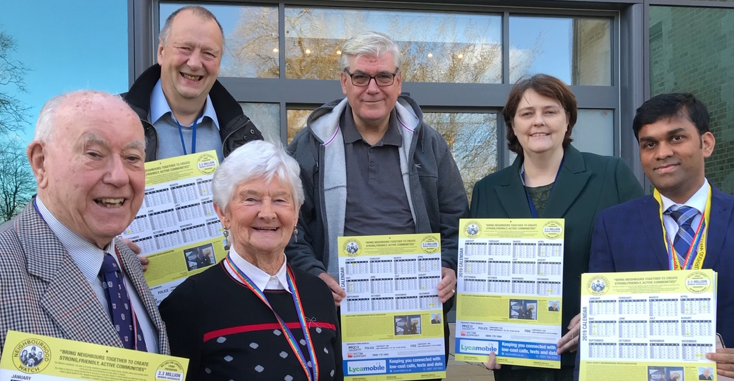 THURROCK Neighbourhood Watch have released a 2019 New Year calendar. Neighbourhood Watch, Victim Support and Essex Watch members met with Jane Gardner, the Deputy Police, Fire and Crime Commissioner Essex at Kelvedon Park, London Road at Police, Fire and Crime Commissioner HQ Office and presented the calendar to her.